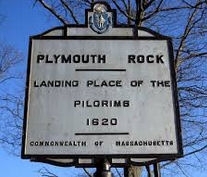 Plymouth County lies between Boston & Cape Cod; a great central location for visiting the many historic attractions, coastline beaches and dining at a variety of seafood and ethnic restaurants. Our partners include lodgings, restaurants, attractions, transportation services and quality shopping venues. We've been welcoming travelers since 1620!